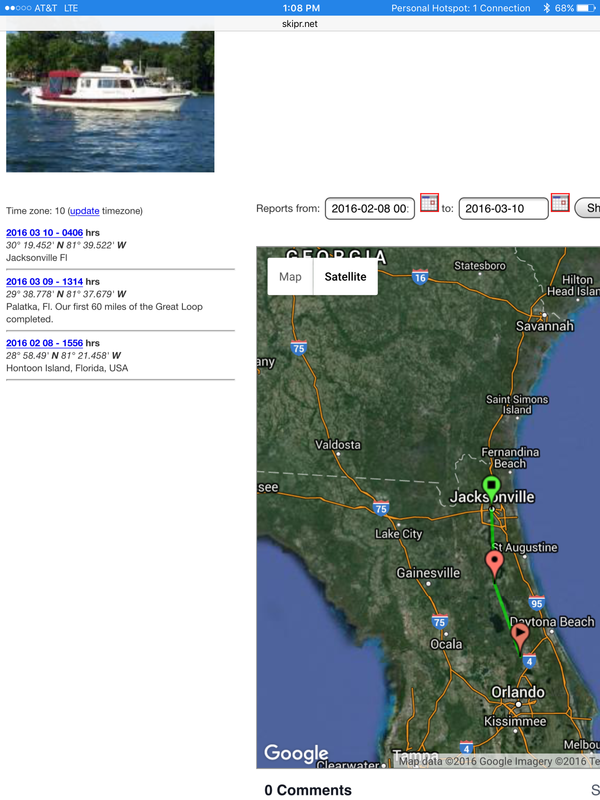 Departed Palatka at 8am and covered the 60 miles to Jacksonville in 5 hours averaging 12 knots. 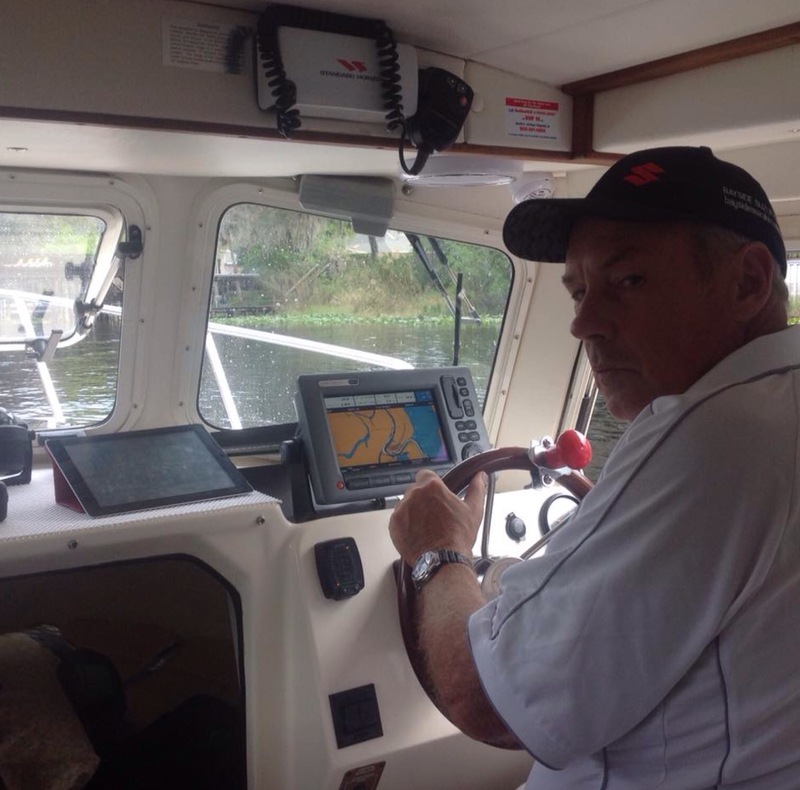 Got to love the C-Dory concept of boat, completing the trip in half the time it would have taken Baly 5. 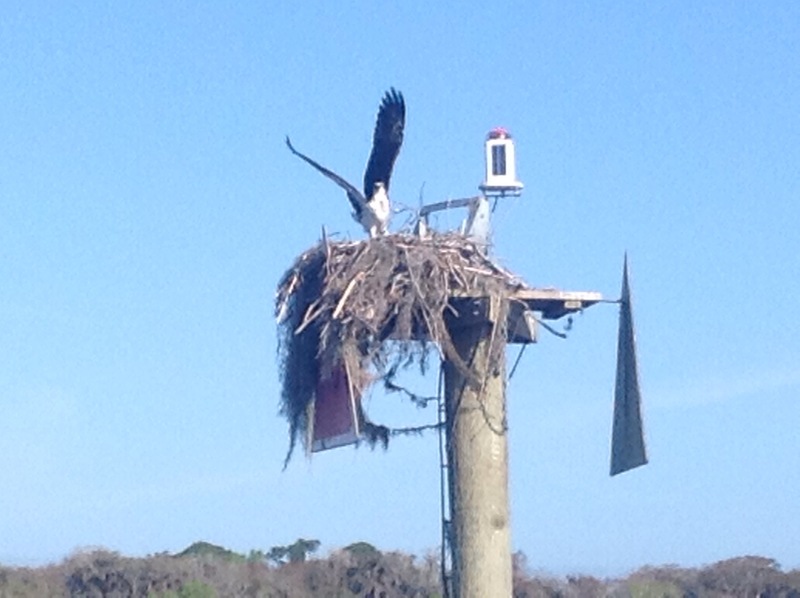 On the way we disturbed what we think was an osprey that had built a nest in a channel marker. We are parked at Jacksonville Landing free dock , which is a bit like being moored at Circular Quay in Sydney, or Eagle Street Pier in Brisbane, right next to the CBD or downtown as they say here. Jacksonville has a population of 1 million. 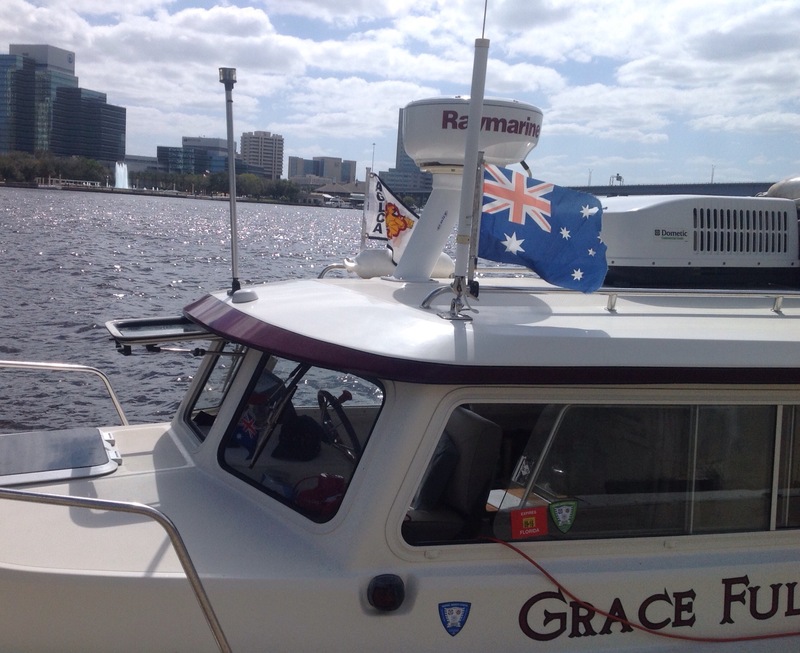 Today we put our Australian flag on the port side as naval custom requires. The America’s Great Loop Cruisers Assoc. burgee is on the starboard side and the American flag on the stern as she is a US registered vessel. Had gumbo and jambalaya at the River City Brewing Company for dinner and are probably due for a home cooked meal tomorrow. We are about 40 miles from the Georgia-Florida border. Looking forward to enjoying your blog! That was an Osprey you scared off her nest. Otherwise known as a Sea Eagle. At one time endangered, they’ve made a great return. Gumbo and jambalaya at last. Wow an osprey she will bring you boys luck. Very fitting indeed. Showed JD your photo at the helm Derricky hmmm he says and does three turns and with ears up goes to sleep.